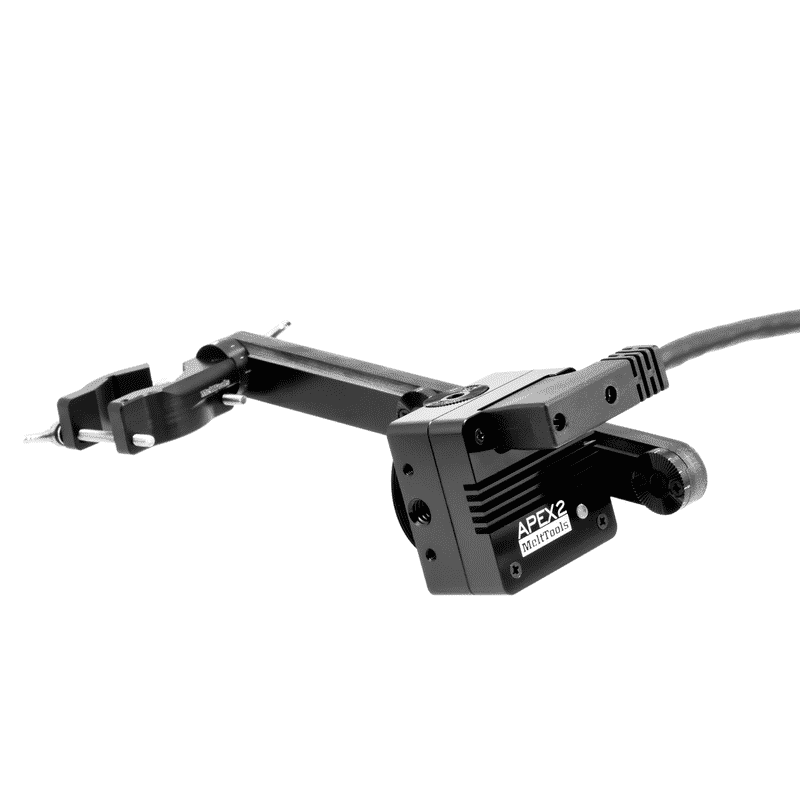 The MeltView APEX2 is a one-of-a-kind educational tool for safe and effective demonstration of arc welding. Read more. Complete starter kit includes APEX2 camera, torch mount, 3m USB3 cable, USB hub, and laptop with LUCI software installed. Buy now or Contact sales for a customized kit. MeltTools enables students to learn on the go. By using this innovative camera to record various welding processes, our students are coming to the classroom better prepared. They are able to see what the weld looks like from under the hood. They watch as the instructor creates an example of a good weld, and it creates a learning opportunity that helps to build confidence in their abilities. The camera is a game changer for welding instruction. Instructors can craft videos of their own liking demonstrating various welding manipulations and techniques in all arc welding processes. Students can view the videos in great detail over and over freeing up the instructor from having to do constant demonstrations. Student videos can be critiqued with the instructor and or with other classmates to determine what was done correctly and incorrectly.